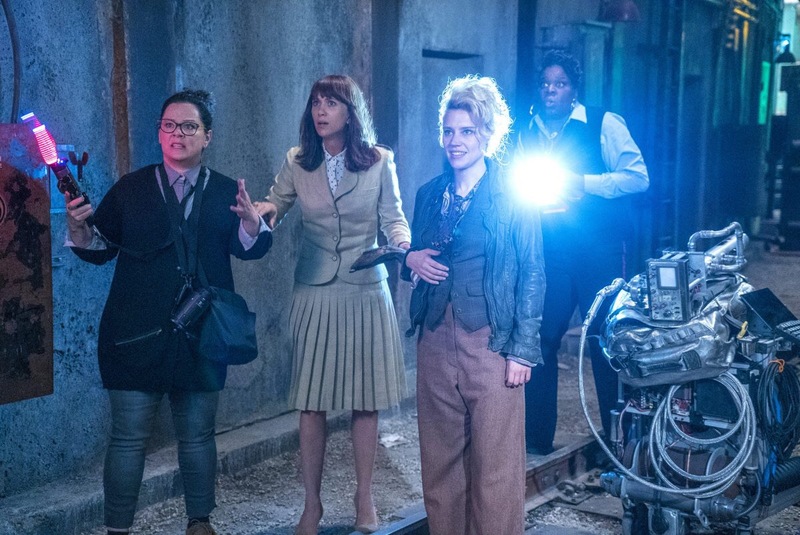 Plot – Following a ghost invasion of Manhattan, paranormal enthusiasts Erin Gilbert and Abby Yates, nuclear engineer Jillian Holtzmann, and subway worker Patty Tolan band together to stop the otherworldly threat. 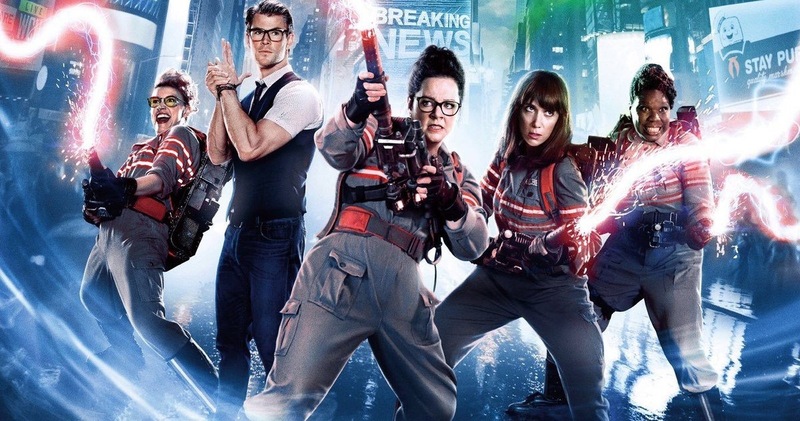 Review – This Ghostbusters movie may have been the most talked about movie of the year. Whether it was fans being excited, or the many, many people talking negatively about this reboot – people were talking. You know the saying “any publicity is good publicity”? That doesn’t apply to movies. The trailer for this new Ghostbusters is THE most disliked movie trailer in Youtube history. Most of us knew it would hurt the box office(opening weekend of a mere 46 million), but we were waiting to see if it’d be a good movie. The answer is finally here. 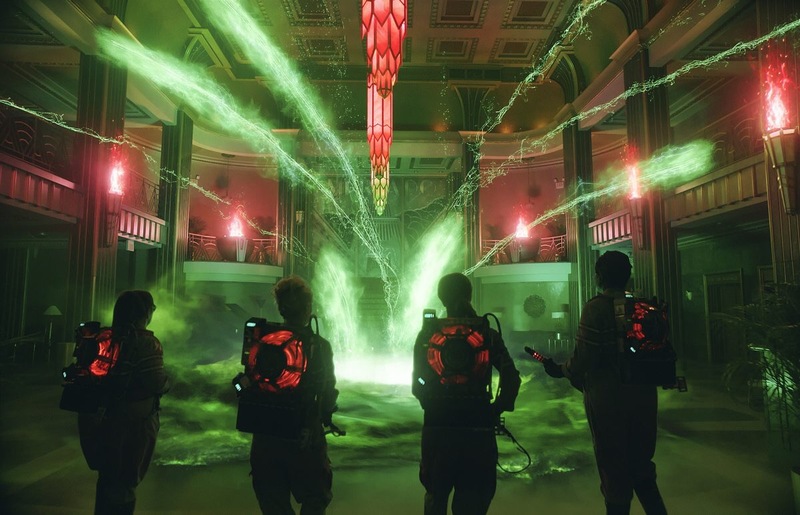 After years of speculation – Ghostbusters is simply “ok”. First thing is first, the girls are not to blame. Kristen Wiig and Melissa McCarthy are very comfortable here working with director Paul Feig(directed both of them in Bridesmaids). To be honest I am not the biggest Melissa McCarthy fan. I always felt all her characters were TOO over the top, but she is way more grounded in this film. I think it suits her better – although I’m sure I am in the minority. As far as Kristen Wiig goes, I am a huge fan of hers and she is great in this movie. I was expecting her character to be the Peter Venkman of the group(which I think they were aiming for), but it came nowhere close. McCarthy’s character was for sure the new generation’s Ray Stantz. 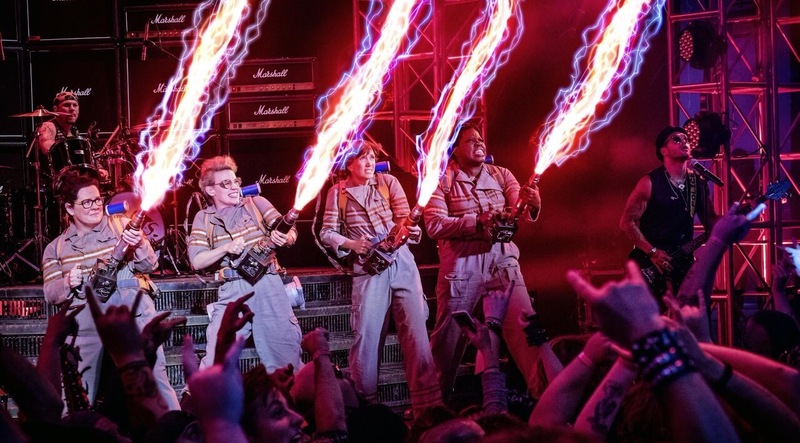 We also get great performances from our other two Ghostbusters Leslie Jones and Kate McKinnon. The two of them have a bright future ahead of them in movies and this was a great way to launch that. Both of them are very funny, while McKinnon to me stole the show as the techy Egon Spengler like character. We also get some lackluster cameos from our original Ghostbusters minus the beloved and departed Harold Ramis(to which we do get a statue of him in the beginning of the film). The cameos of Slimer and the Stay Puft Marshmallow Man seemed better in my opinion. I feel like the movie would have been alot better if it had our new team learning from the originals, but Sony and team played it safe. The reboot follows the original film beat for beat. Think Force Awakens and A New Hope. That is why it lacks the magic of the original. It seems that the studio realizes a lot of remakes get a bad reaction – so they pretty much make the same film but with new characters. One character who I thought was funny, but then turned completely annoying was Chris Hemsworth’s character. He was great in his cameo for another reboot(Vacation), but he fell flat in this. The film may lack the originality and magic of the 1984 classic, but the CGI was beautiful to see. The bright colors of the ghost and the lights from the proton packs looked great on the big screen. Oh yeah – and thank you to Fall Out Boy for ruining the classic theme song for the new generation. At the end of the day, the movie wasn’t as bad as everybody thought it was. But then again, maybe the movie seemed better than it was because everybody’s expectations were so low. Right now it sits at a 73% on Rotten Tomatoes, and that seems like a generous score to give. Sony has officially announced a sequel, so we will see how big of a risk they will take in that movie. It’s hard to not like a Ghostbusters movie, especially with it almost following the exact same blueprint as the original. I didn’t laugh as much as I hoped for, but I don’t think they were aiming for that. Also the movie could have been 10-15 minutes shorter. BUT – because I did enjoy the four leading ladies on screen, I will give Ghostbusters a solid 6/10. ← First trailer for La La Land with Ryan Gosling and Emma Stone!